Over the last several years, Mazda has made a number of strides to contribute to their evolution as a luxury brand. The design of their vehicle lineup has improved drastically, making them some of the most eye-catching cars on the road. A classic part of the lineup is the CX-9, Mazda’s full-size SUV that boasts style, space and safety. Each new model year delivers something a little more than the last, and the 2019 CX-9 is no different. Are you ready to be impressed? First and foremost, the 2019 Mazda CX-9 is a sight for sore eyes. With a refined design and color choices that just scream, “luxury”, the CX-9 is awe-inspiring from the inside out. The interior is extra special with Sculpted Aluminum, Premium Nappa Leather and Genuine Santos Rosewood – only the absolute best for this Mazda. You’ll find a sweeping piece of aluminum along the dash, brushed to a satin-like smoothness that’s appealing to both hand and eye. The chic design of the body and the cabin is enough to sell you – it’s unlike anything we’ve seen on a Mazda. Love at first sight, essentially. If the design wasn’t enough to catch you, the long list of features that accompany the 2019 Mazda CX-9 certainly will. Offering the utmost convenience, you’ll find available Apple CarPlay and Android Auto integration, which will undoubtedly make your ride safer and much easier. You can access your phone’s maps, playlists, contacts and compatible apps all with your voice. For iPhone users, Siri will be able to read your incoming text messages and allow you to reply – completely hands free. Additionally, Mazda’s available predictive i-ACTIV AWD system monitors everything in and around your vehicle, including outside temperatures and your braking patterns. The technology will adjust power delivery to help give you optimal traction so you can avoid a potentially dangerous situation. Everything is centered around the most important part of this equation: the driver. The safety technology doesn’t stop there as the 2019 Mazda CX-9 is certainly leading the way in this category. To start, the available suite of i-ACTIVSENSE safety features all work collaboratively to help you have your safest ride possible. Active Safety Technology, Pre-Collision Safety Technology, Passive Safety Technology and Intelligent Transport Systems each offer their unique capabilities to get you from point A to point B all in one piece. On top of that, available Lane-Keep Assist, Traffic Sign Recognition and Blind Spot Monitoring each add an extra level of peace of mind that you surely deserve. 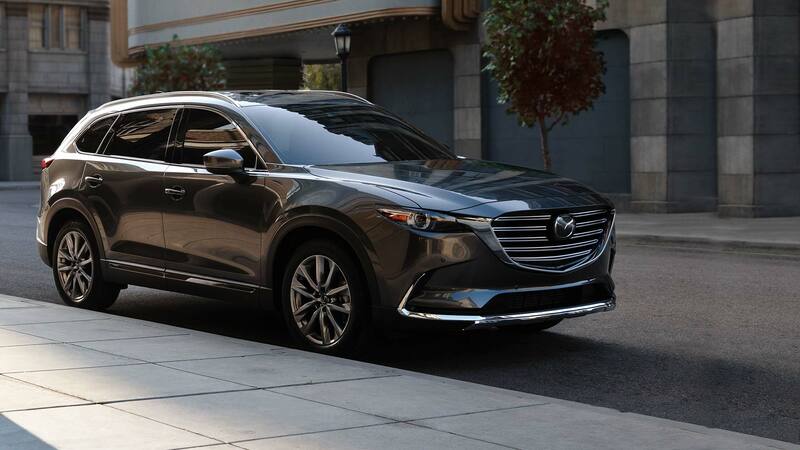 The 2019 Mazda CX-9 promises style, class and safety and we know from the moment you get behind the wheel, you’ll be hooked. Visit Lester Glenn Mazda at 101 Route 37 E, Toms River, NJ 08753 and we’ll help you get started!